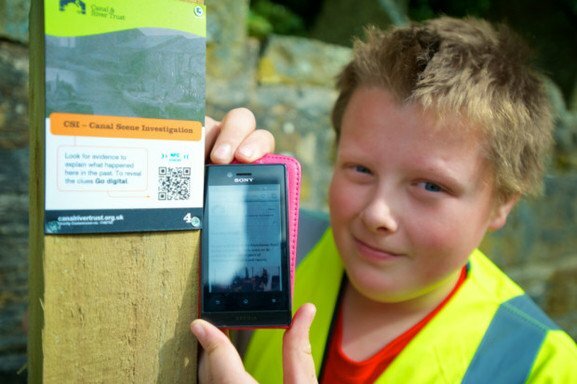 An interactive heritage trail combines traditional interpretation panels with digital content. Let’s give you an example. 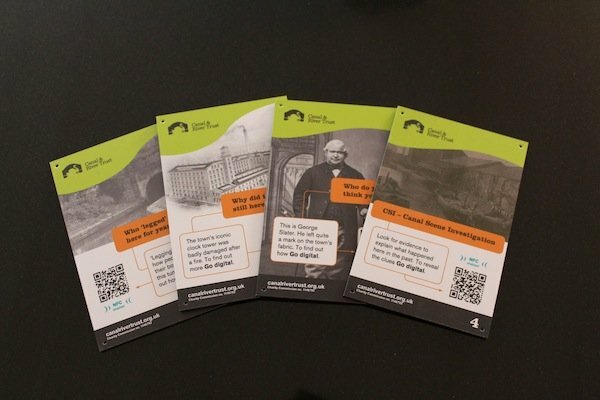 On behalf of the Canal & River Trust we produced interactive heritage trails along the Burnley Canal and the Montgomery Canal. We designed and printed small interpretation plaques. Each one was attached to a 4 inch/100mm wide post (or similar) along the towpath at key points of interest. Each visually stimulating plaque contains a short piece of text and an image so that visitors walking along the canal can read this soundbite and enhance their knowledge. The plaques also contain a call to action to ‘Go Digital’ and discover more. They do this with their phone/tablet by either scanning a QR code or typing in the short URL which takes them directly to a rich content webpage. Here, more text, images, plus audio, video, PDFs (activity packs are popular) etc can be accessed and the trail has become interactive. The possibilities for the online content are endless. 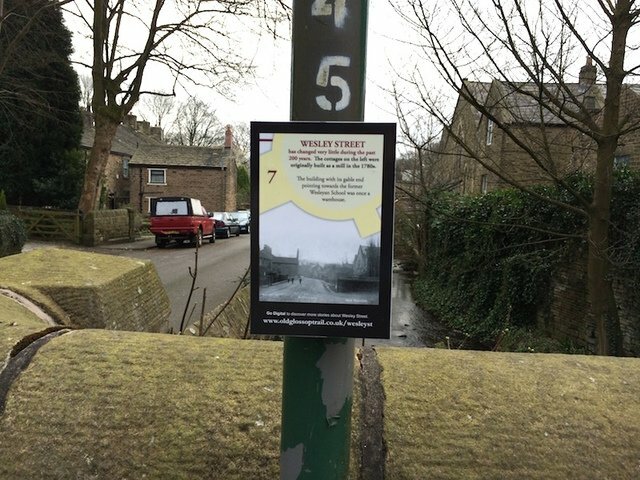 The Old Glossop heritage trail (image below) links to extra text and images, plus short excerpts of oral reminiscences. For this to work best the points of interest along the trail need to have a good 3G/4G signal so that the online content can be accessed. 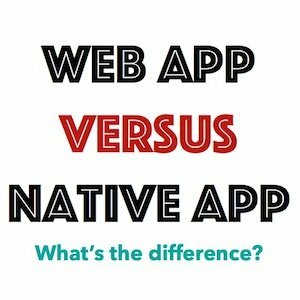 The website too needs to be responsive so that the content scales correctly to the screen it is being viewed on. 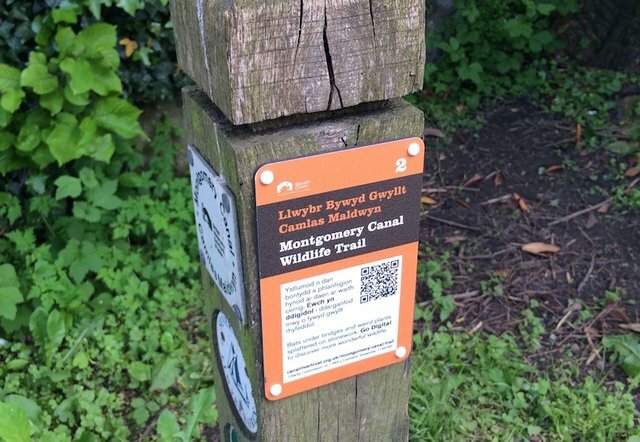 But the bottom line is that small and unobtrusive plaques placed along your trail can become a direct window to a wealth of digital information at visitor’s fingertips, without having to pick up a guide or download anything beforehand. The digital content acts as a useful way to promote your trail online too. How good is that!